Landowners and trophy and biltong hunters should ensure they are up to date with the legal requirements for carrying ammunition and transporting meat as well as the environmental conservation ordinances. Some hunting legislation regulations that may seem unimportant can lead to significant consequences if ignored. Legislation governing lawful hunting practices for professional and biltong hunters in South Africa varies between provinces and even districts. Hunters who simply follow the old maxim of ‘winter is hunting season’ may inadvertently find themselves on the wrong side of the law, facing hefty fines or even imprisonment. It is also important for hunters to familiarise themselves with firearm legislation. Stories abound of hunters forgetting ammunition at home, and asking a friend to bring it along, or of hunters being unaware that it is illegal to hunt an animal after the open season for the species has closed. The story sometimes ends with the hunters being arrested at a roadblock and spending their hunting weekend in jail. Attorney Rudolf van der Westhuysen reminds hunters that some hunting legislation regulations that may seem insignificant could have serious consequences if they are transgressed. “If people are in possession of ammunition for which they are not licensed, they transgress Article 90 of the Firearms Control Act, Law 60 of 2000. The maximum punishment is a 15-year jail sentence, or a fine of R150 000,” he says. A hunter should also remember that these can be imposed per item. For example, if he or she is caught with 20 rounds of unlicensed ammunition, the punishment could be multiplied by 20. Hunters who believe that transporting carcasses to a butcher for processing is a minor aspect of the hunt should also beware. The correct documentation must be carried, otherwise there is a risk of being arrested and charged with poaching. In addition to being fined, a hunter could have his firearms, vehicle, and everything used in contravention of the act, confiscated, Van der Westhuysen explains. No one may hunt on any land of which he or she is not the owner, without the written permission of the owner. The full name and address of the owner as well as the hunter must be indicated. This is applicable in all provinces of South Africa. “It’s important to distinguish between hunting on exempted and non-exempted farms,” says Van der Westhuysen. Farms on which all the nature conservation laws and hunting ordinances apply are non-exempted. On an exempted game farm or one with an adequate enclosing permit, certain activities such as hunting out of season, or hunting certain species is permitted, and certain nature conservation ordinances do not apply. In terms of nature conservation ordinances, the owner of an exempted farm must issue the hunter with a permit to hunt and transport game meat. The details of the farm, the species, and the number and gender being hunted must be listed. The owner’s details, and those of the hunters and their vehicles also have to be indicated on the permit and must be signed by the farm owner. In addition, hunters must remember to carry their firearm licences with them. Legislation in one province sometimes places a great deal of emphasis on certain aspects of hunting, while little or no mention of it appears in the legislation of other provinces. For example, despite hunters needing a hunting licence and transport permit in all provinces, most farms in Limpopo are exempted from issuing hunting licences, but carcass removal permits are still required. Transporting a carcass is also only lawful during hunting season. Hunting permits and licences can be obtained from various sources, depending on the province, including firearm dealers, the Post Office, provincial nature conservation offices, and some hunting associations, says Johann van de Giessen, manager of hunting affairs at the SA Hunters and Game Conservation Association. “Hunters in all areas where African swine fever occur, including Limpopo and parts of North West, Mpumalanga, and Gauteng, also need a special transport permit from the state veterinarian or the game farmer, if he is authorised. This is to avoid disease transmission,” he explains. While some hunters ignore this requirement, Van de Giessen says the economic impact of an African swine flu epidemic on commercial farmers could be disastrous. “Bushpigs or warthog carry the disease but don’t die, domestic pigs are severely affected,” he says. Pigs in these areas have to be slaughtered according to certain specifications and all glands removed, as the disease is carried in the glands. “It should be remembered that anyone who intends to hunt game must apply for a licence before the hunt takes place, and in some provinces the landowner has to arrange this. 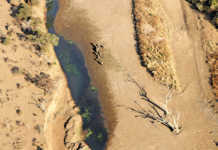 Signing all paperwork before a hunt is essential – the law is clear on this,” Van de Giessen says. In a worst-case scenario, a hunter who is not in possession of written permission to hunt and transport game could technically be guilty of poaching, he says. He suggests that farm owners have a copy of their exemption permit, with a list of species exempted, printed on the back of the permission slip. This is not a legal requirement but will ensure that all paperwork is in order. Provincial proclamations dealing with open season and bag limits may change annually depending on the improvement or decline in certain species numbers, Van de Giessen explains. Every province has different open seasons, which may vary from one species to another. For example, in the Free State, commonly hunted species such as springbok, blesbok, blue wildebeest and gemsbok can be hunted from 1 January to 31 December, but only if the farm has been issued with an adequate fencing certificate in terms of the Game Theft Act, and if the species to be hunted is specified on the certificate. 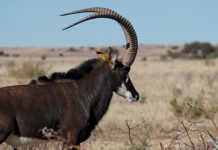 But according to legislation, if the farm does not have a fencing permit, mountain reedbuck may only be hunted from 1 April to 30 September on condition that only two members of a herd are hunted. From 1 April to 30 September, Free State legislation states that commonly hunted buck may be hunted on farms that have not been issued with an adequate fencing permit. Farms that have game fencing may, however, apply for a year-round hunting permit. The cost of permits and licences varies considerably from province to province. For example, in North West, the provincial ordinance states that the landowner has to pay a set tariff for every animal hunted. This can be as much as R2 100 for an elephant, and as little as R50 for a blesbok. North West ordinances are very clear about requirements such as quotas, licences and hunting permission. This is in contrast to the ordinances of other provinces. “Licences are obtained by submitting an application to the [regional department] within the municipal district where the hunting will take place. If the landowner is a lessee of the land, a certified copy of the written consent from the landowner giving consent to hunt for the current hunting season, must be submitted,” the ordinance states. In North West, landowners have to apply for a quota of huntable game. This is then sold to hunters, who sign for the number of animals at the outset of a hunt. If hunters are not successful in filling the quota, the landowner can redeem the permit again, Van de Giessen says. “If the landowner is a tribal authority, a certified copy of the written consent from the tribal chief must be submitted.” It is then processed and the outcome communicated to the landowner within 10 working days. According to the ordinance, landowners must also submit a full hunting report stating the number and species of animals hunted, on or before the end of October to the regional office where the licence was issued. Failure to submit a hunting report within the period will result in non-compliance. According to North West ordinance, hunting at night is prohibited except for management purposes such as culling. Those intending to do so must apply for a Department of Economic Development, Environmental Affairs and Tourism (DEDEAT) permit and notify the relevant office or local SAPS prior to such a hunt. “Hunting is usually banned from a half-an-hour after sunset, to half-an-hour before sunrise. However, in some provinces, animals fall through the cracks of this legislation. Bushpigs, porcupines, and other ‘problem’ animals such as jackal are not mentioned in the legislation, but applying for a night hunting permit is the safest option,” Van de Giessen says. In the Northern Cape, legislation states that any person who unintentionally kills an animal in violation of an ordinance must notify the nearest DEDEAT office within 24 hours. In addition, no one may hunt using fire or poison, artificial light, a trap, or bow and arrow. This can be accepted as the norm in most provinces, though no mention of it is made in some ordinances. Likewise, only some provincial ordinances mention a ban on hunting with dogs, with the practice prohibited in any fenced area of 200ha in size or less. 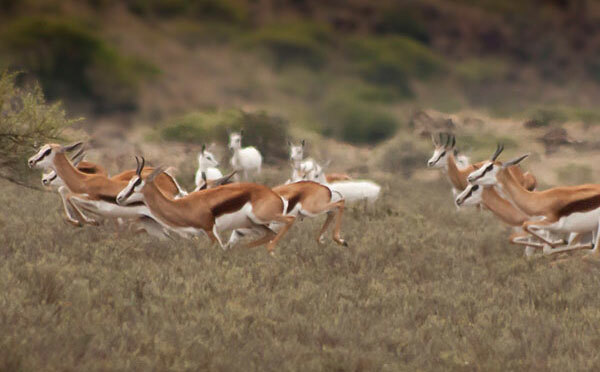 “During a proclaimed open season, a landowner and his family do not need a permit or licence to hunt,” says Wessel Jacobs, deputy director for Professional Hunting and Resource Use in the Northern Cape. However, this does not apply in all provinces. 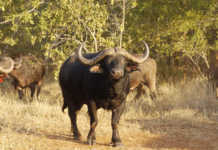 Phone Johann van de Giessen on 012 808 9300, or visit www.sahunters.co.za.